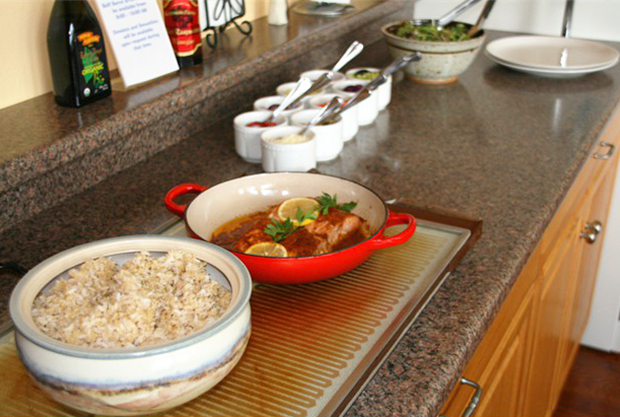 The food at Rainbow Hearth is one of the biggest reasons guests return again and again. We select only the finest organic and natural foods to ensure the very best flavor and nutrition without the unnecessarily high amounts of hormones, pesticides and insecticides common in non-organic food. The qualities of our ingredients coupled with our delicious original recipes commonly receive the highest remarks from our guests. Please see Rainbow Hearth's reviews for their comments. 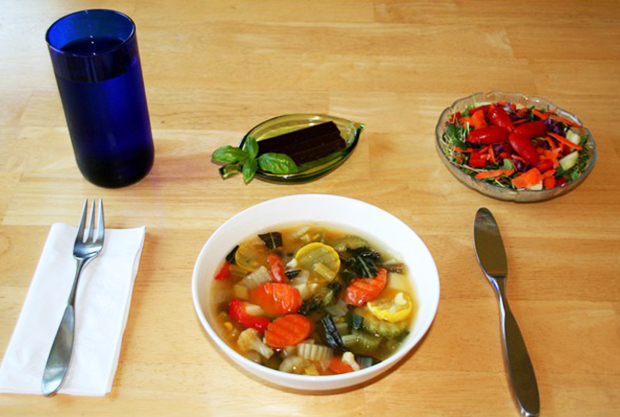 Rainbow Hearth can easily accommodate most diets including vegetarian, vegan, gluten free, and juicing and fasting diets. Please notify us at the time of booking for special dietary needs. 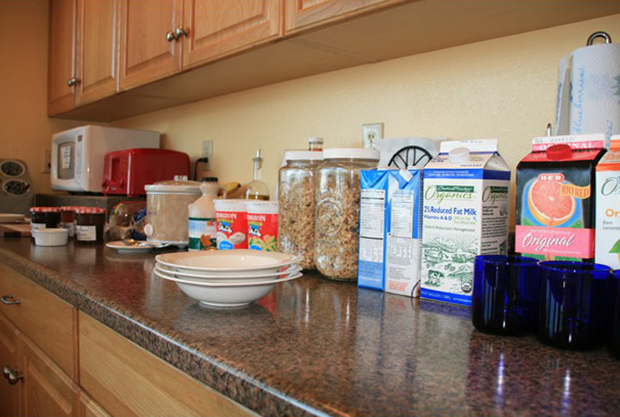 As a Texas Hill Country bed and breakfast, Rainbow Hearth not only serves breakfast but lunch and dinner as well. Wild-Caught King Salmon filet seasoned in an original tamari mustard marinade (a Rainbow Hearth favorite). Organic free-range chicken in a natural mesquite barbeque sauce. Wild caught Tuna steaks marinated in a soy teriyaki based marinade. The best chocolate you've ever had which just happens to be dairy and sugar free! Rainbow Hearth collects its own rainwater, puts it through a series of three filters and ultra-violet light exposure and finally charges it in one final step (like Smart® Water), creating a refreshing, delicious drinking water that many guests describe as "the best water" they have ever tasted. For more information on water purification, go to www.johnellis.com. Rainbow Hearth grows and harvests its own organic sprouts and micro-greens onsite, giving guests the freshest salads they have likely ever tasted! 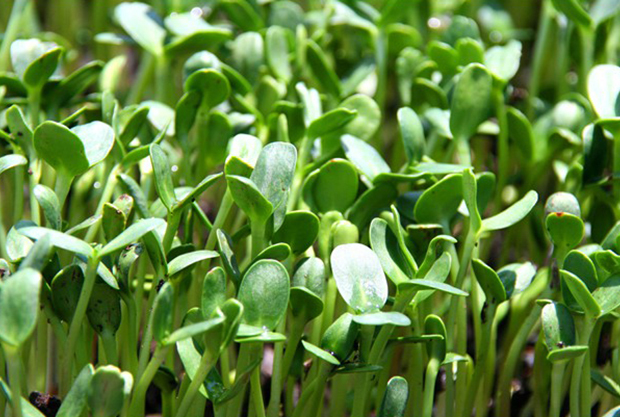 Our sprouts and micro-greens are grown year-round in our indoor, climate-controlled sprout room. 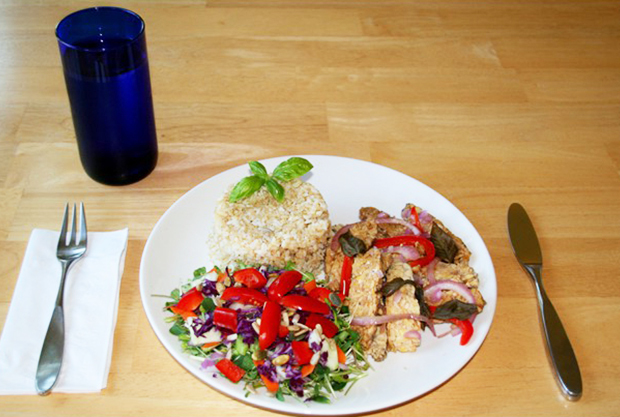 The result is delicious, gourmet salads that are also really good for you! 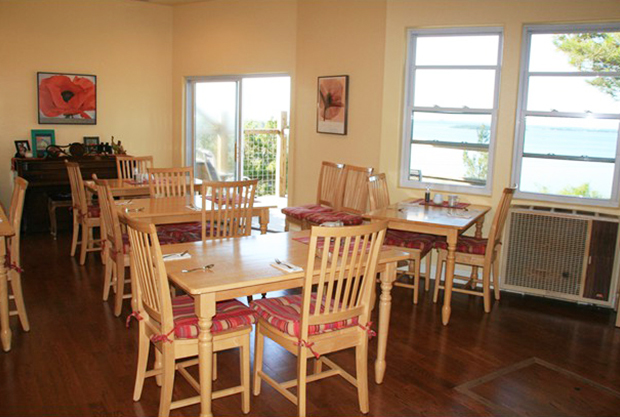 *Note that our Texas Hill Country retreat packages include all meals at no extra charge.